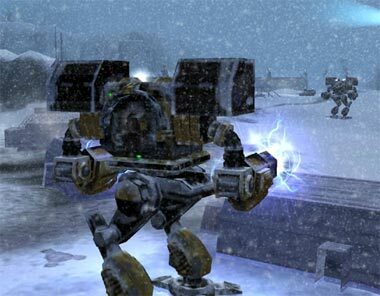 Having for years played the RPG Mekton (before the days of 3D game systems or computers), we were very pleased to find the high-end PC game MechWarrior, and even more pleased to find this game MechAssault  because it's all the action of MechWarrior without the complexity. 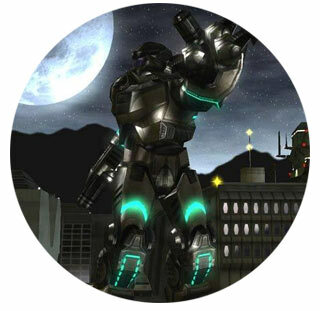 In this game you play the pilot of the ultimate tactical assault weapon  a 40-foot tall walking tank  or in this case, what is obviously a robot borrowed from the Macross Universe. What's coolest about this game is that, much like the older "Army Men" style games, you can pretty much blow up anything you can see  including anything in the environment around you, trees, buildings, bridges, streets and more can be toasted, and furthermore, the destructibility of the scenery allows it to be used as a weapon. Don't like the guy firing at you from the bridge? Blow up the bridge he's standing on! Another mech evading your fire by hiding behind a building? Blow up the building! Nothing is off limits. Oh, but don't get too close or the resulting explosions will damage you as well. The game gets high points for single player mode, but multiplayer mode over networked Xboxes is where the biggest fun is. Very much like a Quake deathmatch, but with 100-ton robots. It just doesn't get better than that!